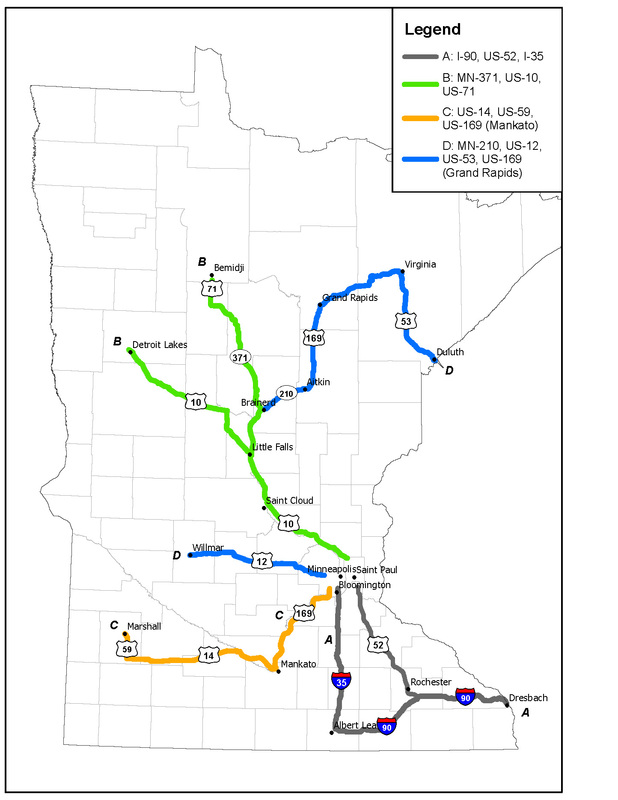 MPCA solicited applications for grants to install direct current fast-charging stations for electric vehicles along Minnesota highways and interstates. This grant opportunity is part of Minnesota’s Diesel Replacement Program, funded by the Volkswagen Settlement. Closed: Application deadline for these funds was Aug. 21, 2018 (2:30 p.m. Central Time). The RFP assists applicants in applying for and managing state grants. This document describes the EV Fast Charging Corridor grant round, including information on who may apply for grant funding, the funding priorities for the round, match requirements, activities eligible for funding, and other information that will help applicants plan their project and submit a competitive proposal. Proposals are due no later than 2:30 p.m. Central Time on August 21, 2018. Questions regarding this RFP must be e-mailed to grants.pca@state.mn.us, subject line: “EV Fast Charging”, no later than 2:30 p.m. Central Time on August 8, 2018. All questions and answers will be included in the FAQ sheet and posted within two (2) days of receipt. MPCA personnel are not authorized to discuss this RFP with applicants outside of the question-and-answer forum. Contact regarding this RFP with any MPCA personnel may result in disqualification. Training: This brief webcast offers an overview of the Request For Proposals (RFP) and application forms. The purpose of this grant is to increase use of electric vehicles (EVs) in place of gas-powered cars to mitigate nitrogen oxides, and decrease particulate matter and greenhouse gas emissions in the state. The fast-charging corridors along major roadways will allow EV drivers to travel over long distances throughout Minnesota. In developing a list of required city locations, existing and planned fast-charger installations were taken into account. Installation of fast-charging stations is required in Bemidji, Grand Rapids, Detroit Lakes, St. Cloud, Willmar, Marshall, Rochester, and Mankato. One 150 kW fast-charging station is to be installed in Albert Lea. This grant opportunity is funded by the VW settlement. See Minnesota's plan for more details. Receive updates on this and future funding opportunities from the Volkswagen settlement.